Flush Cap cleanouts are internal fitting caps that allow for a flush finish on both indoor and outdoor installations. They provide a sealed access point to the plumbing system and eliminate the need for access boxes or access openings in the floor. 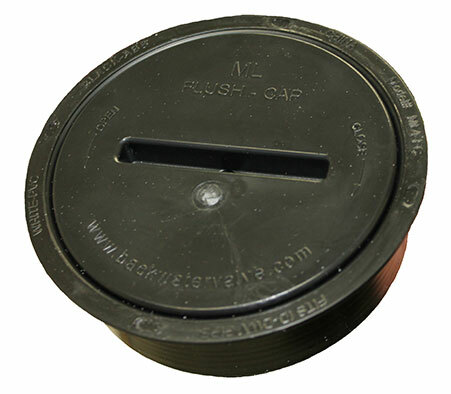 Available in 4” & 6” (ABS and PVC), Flush Caps are an ideal finish to any Adapt-a-Valve or Straight Fit valve installation. © 2013 Mainline All Rights Reserved.